I'm back today to share another layout for the Color Theory class at Studio Calico, taught by Wilna Furstenberg! The techniques in the class are so fun, and I'm looking forward to all of the upcoming lessons. Today's layout, used the painting technique of pairing complementary colors. I decided to use Blue and Orange, to create a masculine layout. I started my background, using the Color Theory Deja Blue Acrylic paint. I kept the darkest color at the top of my layout and then I kept mixing in White Acrylic paint for each new line of color, as I added it down the page. Since I wanted a lot of the painted background to be visible, I decided to use a vertical design down the center of the layout. 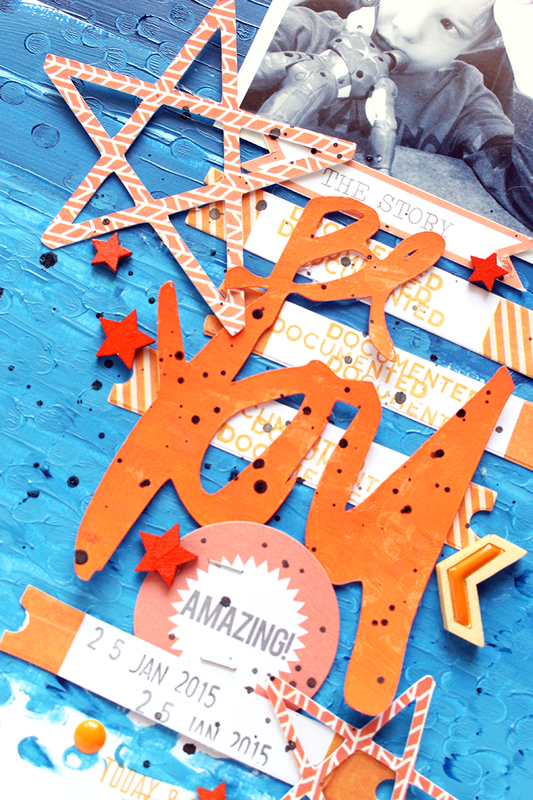 All of my embellishments are various shades of Orange, and I cut the "Be You" title from White cardstock and then used Orange Acrylic paint to alter it. I'll be back soon with another layout for the class, once the next lesson goes up! It's fun to play around and be creative, just for the sake of creativity!! 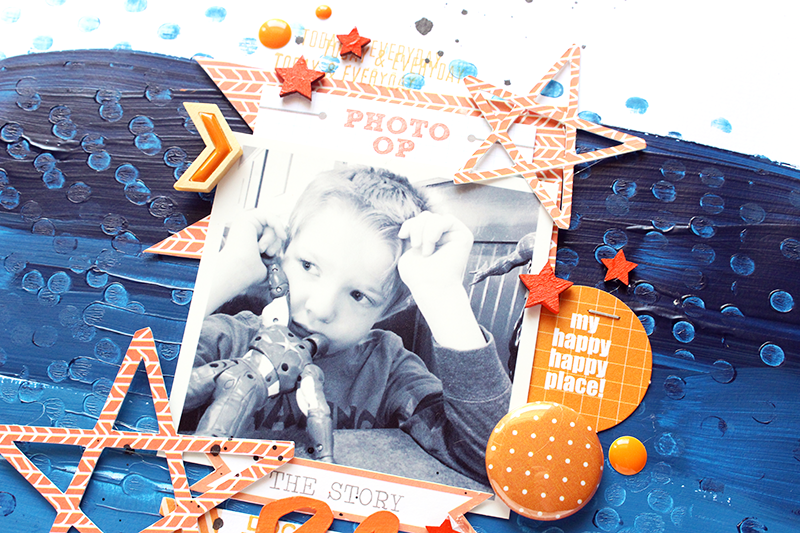 My Scraps & More Guest Designer!